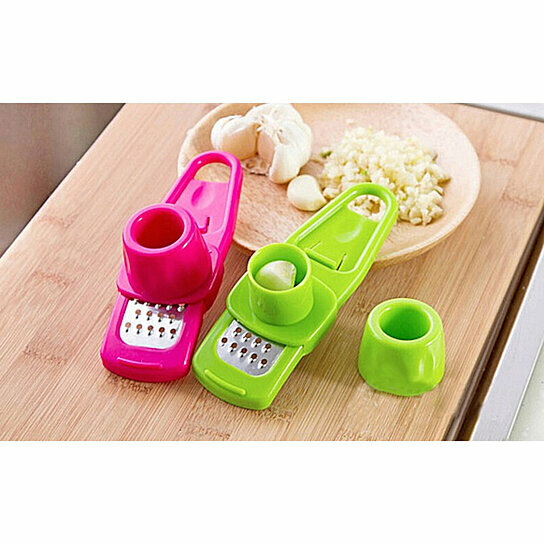 Our garlic and ginger grater is a must have for all of you cooks! Make authentic homemade garlic or ginger paste quickly and easily with this neat kitchen tool. Its sharp, double-action cutting teeth make short work of cloves and fibrous ginger roots and its smooth surface makes removing the pulp easy. Its versatile design means it can also be used for grating nutmeg and other whole spices Dishwasher safe.